The need for electrical energy supply in off-grid or temporarily off-grid areas of the developing world is becoming increasingly significant. Different sizes of applications are implemented, starting at the micro scale level of households and small communities, but also scaling up to more energy intensive applications such as small business, workshops or even small factories. An overall improvement of the living conditions of local communities is achieved by providing energy access and also by strengthening local economies and creating income sources. The Rural Electrification Research Group is part of the Smart RUE (Smart grids Research Unit of the Electrical and Computer Engineering School) of the National Technical University of Athens (NTUA) and a member organisation of the Wind Empowerment association and the Hydro Empowerment network. The group conducts interdisciplinary research with the aim of providing open source technical solutions on small wind and pico-hydro systems for rural energy access. At the same time, the group is involved in several implementation projects around the world in the themes of rural electrification, university education and networking with practitioner networks. Below is a map of these projects and a presentation overview for some of them, while more information can be found in other sections of this website. Concepts of ‘appropriate technology’ have been used in the past decades, mostly in projects that aim to improve living conditions for rural communities in developing countries by involving the users in the design and implementation processes, and thus directly addressing their needs. An evolution of this process of technology transfer is ‘open source hardware’ that follows from the successful history of ‘open source software’. Over the past decade, ‘open source software’ applications have developed new concepts and tools in the field of community research and development with ‘peer to peer’ networks, in the field of intellectual property rights with the ‘creative commons’ licenses, and in the field of business with the ‘open business’ models. Open hardware aims to follow up on these issues and create a new space for the open production of material products, where new concepts of innovation can be explored based on the cooperative nature of these processes. Open hardware focuses on building products that require less initial capital and have less maintenance costs, that are based on open designs which are improved by a community of voluntary users with different technical backgrounds and wishes to face up to challenges such as language limitations, lack of wide spread access to the Internet in isolated areas of the developing world and the need for new design tools to assess this process. The production of electrical energy from renewable energy sources has not been left untouched by these concepts. 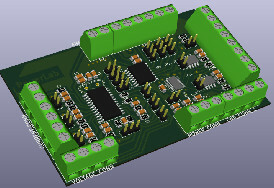 Open source hardware applications exist in power electronic components such as maximum power point trackers for PV modules, diversion load controllers, energy management controllers and meteorological and electrical data logging systems for small wind turbines. Apart from the context of electronics, where most of the open hardware applications exist, some small wind turbine (SWT) open designs for residential and rural use have emerged in the past few years. One such SWT has originally been designed by Hugh Piggott in his first design manual in 2006. Since then hundreds of these SWT have been built worldwide proving these turbines to have a robust design. Other groups such as Other Power have developed the design and a wide network of people constructing, using and developing these turbines is emerging, that collaborates through internet forums such as fieldlines.com and networks such as the Wind Empowerment association. Since the spring of 2009, several final year dissertations in the electrical engineering department of NTUA have focused on locally manufactured small wind turbines, and specifically those described by Hugh Piggott in the ‘Small wind turbine recipe book’. Several students have completed their dissertations since then, completing projects that usually last for almost a year. This work has contributed in the formation of the Rural Electrification Research Group within the Electrical Energy Systems Laboratory of NTUA. The solar home system (SHS) has emerged as a new and cost-effective way of supplying power to remote off-grid households. SHS is typically comprised by DC sources (Solar Pico Systems etc. ), loads (LED Lamps, radios, mobile phone charging) and a small storage system (batteries). The possibility of interconnected multiple SHS into small clusters and furthermore the interconnection of multiple clusters together is promising for electrifying large rural areas. The SmartRUE, focuses in research and technology development in the area of Smart Grids. The main Smart Rue activities deal with planning and operation of modern power systems characterized by high penetration of renewable energy sources, distributed generation and flexible loads. For the efficient solution of related problems advanced control and ICT technologies are employed. Several of these research activities are brought together with an emphasis on Solar Pico Systems under the Rural Electrification Research Group (RurERG) and assist in the development of solar home systems to minigrids, at any of their development stages. Hardware-in-the-Loop (HIL) simulations test control algorithms or physical hardware, open source data logging devices gather and monitor system data, control algorithms are developed for DC microgrid clusters, p2p management and control architectures and big data management is be used for energy planning. In the following paragraphs these approaches are described in more detail. 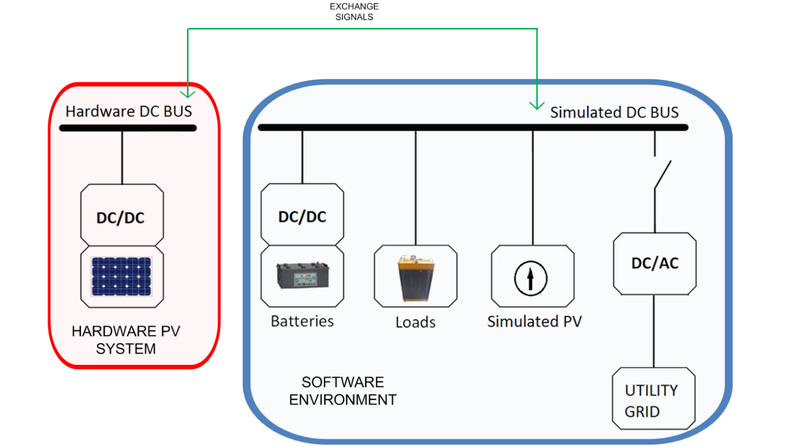 Hardware-in-the-Loop (HIL) simulation is an advanced tool that can support the higher integration of Distributed Energy Resources (DER) to electricity grids and allow studies focusing on rural electrification applications. HIL simulation allows the connection of physical equipment (e.g. hardware Photovoltaics, Wind Turbine etc.) to a virtual network simulated in a Real-Time Simulator. The simulated system can be changed easily and quickly without the need for hardware adaptations reducing at the same time the total cost of the needed hardware setup. For example, if the coordination of different hardware equipment (big number) is studied, then the user is capable of having a small number of hardware devices and simulates the rest of them inside the Real-Time Simulator. SmartRUE and RurERG have successfully studied different applications concerning rural electrification with the developed simulation environment. Both AC and DC topologies (e.g. microgrids) can be studied in the aforementioned setup. Open source data logging systems are being developed to enable accurate measurement of the electrical and the environmental parameters of small wind turbine installations, while similar data logging concepts can be used for many monitoring aspects in off-grid micro-energy systems. Taking advantage of the significant processing capabilities of the Raspberry Pi 2-3 platform, the data logger features both data acquisition and processing in one device, thus further decreasing the overall cost of the logging unit, currently being a considerable fraction of the overall installation cost. For the AC measurements, a three phase multifunction energy meter is used, while for the DC part and the environmental parameters, a high accuracy analog-to-digital converter is implemented. 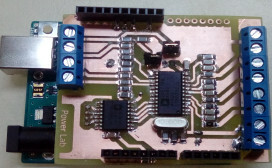 An Arduino shield has also been developed, featuring the same AC data acquisition modules, for an even lower cost data logger that is focused on robustness and reliability. Taking into consideration the particularities present in the majority of off-grid micro-energy systems (e.g. no Internet or cellular coverage) post-processing, local and remote storage capabilities are under research at the moment, along with further improvements, regarding the visualization of the real time measurements, using open source software frameworks, already developed and field tested. Stability issues: Stability of dc MGs is influenced under high penetration of tightly regulated power converters used to interface distributed resources and loads. New distributed generation and storage systems can be added or removed from the microgrid seamlessly. Modeling: There is lack of study about modeling regarding LVDC microgrids. Power Balance: Equal and stable sharing between parallel power converters. Output control: Output voltage and current fluctuations should be taken into consideration. Economic dispatch: An appropriate dispatch of DER units participating in the operation of a multy microgrid can significantly increase the reliability of the system. Seamless transition between modes of operation: The ability to work in both stand-alone and cooperative mode of operation. There is a fairly large number of methods so as to approach or/and address these challenges. An investigation of the suitable control methods for multi dc microgrids is on our research scopes. The p2p management of power grids is a new model for network management and operation. The basic principle of a p2p architecture is to facilitate the process of sharing a resource (i.e. energy for the power grid) through the decentralized operation of self-organized networks. Hence, the application of this idea on the operation of the power grid, presents important advantages such as the avoidance of a centralized control entity, plug-and-play functionality and at the same time increases the robustness of the grid. Sophisticated distributed algorithms are used for the implementation of such systems in combination with open source tools and low-cost hardware, that can efficiently coordinate and optimize in a decentralized manner a community power network. The large scale adoption of rural electrification systems together with low cost data logging and monitoring systems is expected to produce large volumes of valuable data. Such data can be used for the optimal energy management and planning of rural communities. NTUA can provide a number of algorithms that will make use of this data in order to propose feasible system extensions for the rural community (in the terms of how much solar or storage is required, what kind of DC systems interconnections should be implemented for the optimal system operation) and new control concepts, such as incentive based demand side management, for optimizing demand over generation, thus solving problems posed by the inflexible rural PV systems.